What makes an adventure different from a setting book? Both start with maps, locations, and characters, but what extra ingredients turn a source book into an adventure? You might name story or plot as that essential extra bit, but early adventures lacked anything like a story. Many players favor adventures without plots, where you can enjoy as much freedom to play as a sandbox. Adventures start with a goal that leads to obstacles. The first dungeon adventures presents characters with the simple goal of retrieving treasure from the dungeon, and obstacles like monsters and traps that stand in the way. Forty years later, characters may chase other goals—they may never enter a dungeon, but the essential ingredients of goals and obstacles remain. Even the most primitive D&D adventures assume the game’s default goal of gaining treasure to enhance your character’s power. The early game made this goal explicit by awarding characters experience points for treasure. Setting books can include maps to explore, non-player characters to interact with, and perhaps even a monster lair, but without goals and obstacles, they fail to qualify as adventures. 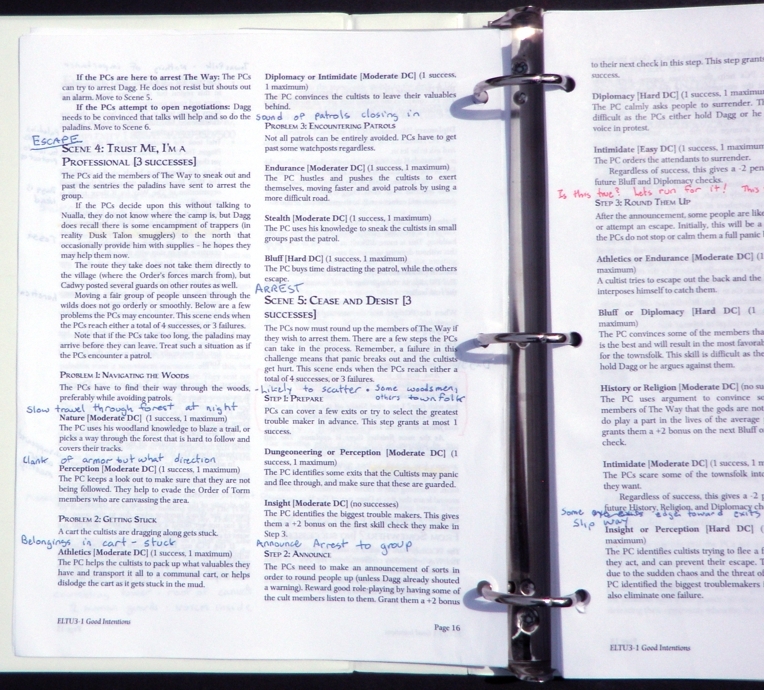 The designers of fifth edition Dungeons and Dragons focused their design on supporting three pillars of play: combat, exploration, and interaction. Adventure creators rarely struggle to create goals and obstacles for the combat and exploration pillars, but they often fail to properly support the interaction pillar. A combat encounter features a built in goal—to survive—and ready obstacles, the monsters. Great combat encounters may feature more interesting goals, hazards, and traps, but no one ever built a combat encounter by pitting characters against butterflies and rainbows. To support exploration, adventures pair maps with number keys. Adventure designers create maps for locations that players have a reason to explore and that presents obstacles. If the players decide buy horses, you do not need a map of the stables keyed with a description of what’s on the floor of each stall. Sometimes adventures include maps and keys for ordinary buildings with mundane contents, but most authors know better. When adventure authors try to support interaction, they often falter. They devise non-player characters who the players have no reason to interact with—NPCs who do not fit a goal. See “A priest, a warlock, and a dwarf walk into a bar and…nothing happens.” They create NPCs who present no obstacle to the PCs’ progress. (Certainly a few NPCs can simply provide flavor or exposition, but most NPCs should do more.) NPCs best fit into an adventure when players encounter them in pursuit of a goal, and when they present some obstacle. By obstacle, I do not mean that NPCs must serve as creatures to fight. NPCs can act as obstacles in countless other ways. But many adventures see print larded with NPCs that fail to support interaction. The authors devise rosters of colorful characters, but stop short of devising ways to put them in the paths of the PCs’ goals. Authors lavish text on some shopkeeper’s aspirations and home life just so he can sell rope. For example, Hoard of the Dragon Queen describes 22 NPCs who join the PCs on a two-month journey, but few of these NPCs entice the players to interact, and none act as obstacles. If I want to use any to “spice up the journey, or bring the trip to life,” I need to find ways to put them in scenes with the players. When I ran Hoard, I did this work. But designers Steve Winter and Wolfgang Baur claimed a bit of my money while working as RPG designers—a dream job. I paid them to do the work for me. Instead they dumped a load of parts, and then left the work to me. Ironically, the dragon cultists on the same journey, who may serve as obstacles, get no description at all. Adventure designers fail when they suppose that character descriptions alone provide enough basis for interaction. Like maps and monster stats, NPC descriptions cannot stand alone in an adventure. Scenes provide the true basis for interaction. Scenes require at least one of these three elements: a goal, an obstacle, and a lead. The best have all three elements. The goal for a scene stems from what the players think they can accomplish by meeting a non-player character. Convince the fearful witness to name the assassin. Strike a deal with the troll to let you pass. Discover why the beggar keeps staring at the party. Whenever the players must persuade an NPC to provide help or information, they have a goal. Scenes without goals begin when NPCs approach the PCs. These scenes can provide flavor or exposition. For example, the players may help a merchant who speaks of the ghost ship raiding the coast, or a beggar who explains how the wizard looks just like a legendary tyrant. Most scenes without a goal establish one when an NPC explains what they offer, and then what obstacles the PCs must overcome to gain cooperation. A scene’s simplest obstacle comes when players must devise the right questions to get information they need from a willing source. Greater obstacles appear whenever an NPC in a scene proves unwilling or unable to help. For more, see “22 Reasons why a non-player character won’t cooperate.” Scenes without obstacles tend to play short. Once players get the bit of information or assistance they need, they tend to grow impatient, ready for the next challenge. Even if an NPC helps the players, when a scene presents no obstacles, players will lose interest. If you devote too much time to colorful shopkeepers when the players just want gear, they will gripe. Perhaps not to you, but to me. I’ve heard them. A lack of obstacles means that an adventure’s denouement, where the PC’s patron grants treasure and ties up loose ends, never seems very compelling. Most scenes end with at least one lead, some clue or item that directs the players to their next step. For example, a lead could be the identity of the burglar who stole the Casket of Wrath, or the key to the vault. The best scenes end with a choice of leads to follow. 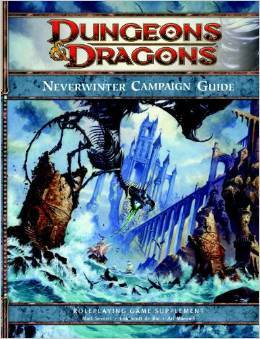 Fourth edition Living Forgotten Realms adventures often supported interaction with scenes rather than just characters. The fifth-edition adventures I’ve seen lapse back to just listing NPCs. Why? I suspect the 5E designers associate scenes with railroading. They wish to break from the tight-plotting of 4E adventures, where players moved between encounter numbers 1-2-3, in order. Instead, they list characters, and so force me to give players a reason to meet them in scenes. The plots and NPCs in recent adventures like Hoard of the Dragon Queen and especially Murder in Baldur’s Gate show true ambition. I suspect the designers aimed for the role-playing equivalent of the n-body problem with the players and NPCs scheming, acting, and reacting in ways too dynamic for the constraints of scenes and encounters. So the authors delegate keeping track of all the threads to the dungeon master. We must become George R. R. Martin, except instead of getting years to hash out the details, we must improvise. 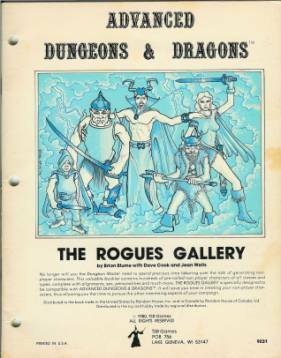 To add to the challenge, these adventures still expect dungeon masters to adhere to an overall story, so I find myself choosing whether to use DM mind tricks to nudge the players back on course or to allow them to stray completely off text. For me, the ambition of these adventures works better in scenarios I create, when I have a complete understanding of moving parts that I created. Published adventures work best when the DM can operate without mastery of entire storyline and its many, moving parts. They work best when they hold to encounters, locations, and scenes—with ample, meaningful choices for the players to choose a course from scene to scene. Scenes do not contribute to railroading any more than dungeon walls. Railroading comes when adventures fail to offer players choices. If every scene ends with exactly one lead, then you have a railroad. If each scene ends with a few leads that offer interesting, meaningful choices, then you have adventure. This entry was posted in Advice, D&D fifth edition and tagged adventure design, Hoard of the Dragon Queen, interaction, Living Forgotten Realms, Murder in Baldur's Gate, non-player characters, obstacles. Bookmark the permalink. You make some really interesting points! Creating an easily and reliably compelling roleplaying public play experience is by far the hardest pillar. DMing organized play is really helpful, because we often run the same adventure many time for different groups. It can give us some insights into what works. I agree with you that simply providing a description of an NPC, even when the NPC is interesting, isn’t enough for many players. I think 3E and 4E both tried to compartmentalize the experience as a sort of antidote to the “anything goes” approach of previous editions. Often that was through a skill challenge (or in 3E, concluded with successfully using skills). Both of these often fell flat, because they were so confined that the scene was like a cypher that players needed to decode with certain skills. “My best skill is Streetwise, so I’m going to roll that… uh, telling him I know about what the thieve’s guild is doing. Yeah, sure.” I think 5E can really bring those approaches forward by creating compelling encounters without the confining mechanical focus. I’m lenient in my assessment of the official 5E adventures. They were written with shifting rules and what was presented, even when it was playtested, often had to undergo changes by developers who had an incredibly full plate (with the design of 5E itself). I still think that these are fine adventures and they take important steps in breaking away from the mechanical focus while providing a far better plot. It doesn’t always carry to the encounter, but it is getting there. Some of the Adventurers League adventures combine the elements very well, such as Defiance in Phlan or The Courting of Fire. I agree that the 5E adventures deserve some allowances for the reasons you mention. With one exception, I’ve enjoyed all the published 5E adventures I’ve either played or run. Murder In Baldur’s Gate didn’t suit me or my Encounters group. At Gen Con, I wasn’t the only DM who had reservations about introducing the new D&D with an adventure that dropped players into the middle of a terrorist attack. My Encounters group wants more combat, clearer direction, and noble goals. When they showed little interest in intrigue and bridled at supporting any of the patrons, I let the adventure go off text. Still, I cannot blame the adventure, just the management folks who miscast it. If anything, the 5E adventures sometimes suffer because they work so hard avoid the linear strings of encounters and skill challenges present in early 4E adventures. In aiming for a looser, more-dynamic design, they overcorrect, and I wind up grumbling about keeping things on track or sifting through lists of NPCs. My players never see my gripes unless they read this blog (as if). In fifth-edition play, I’ve watched players spend more time weighing options than they ever did in 4E, and I’m delighted. Instead of dutifully going from obvious encounter to the next, they see the options open to them. We win D&D! Amen on that last part! Oh, and will you be coming to Winter Fantasy? It would be great to say hi to you in person if you will be! Hi Teos, I am looking forward to being at at Winter Fantasy. When I see you I will say hi.